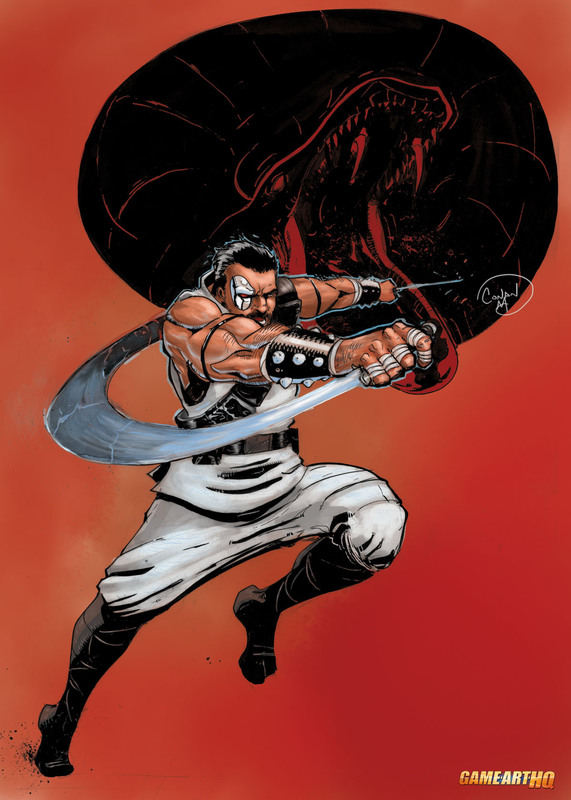 Kano, who is one of the 7 playable characters from the first Mortal Kombat is a leader of the Black Dragon Clan, a syndicate of criminal mercenaries. He lost his right eye and got a mechanical, infra red eye which can even be used like a laser against his enemies. 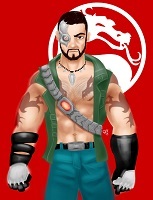 Back in Mortal Kombat I this gave him a look similar to the Terminator from the first movie. 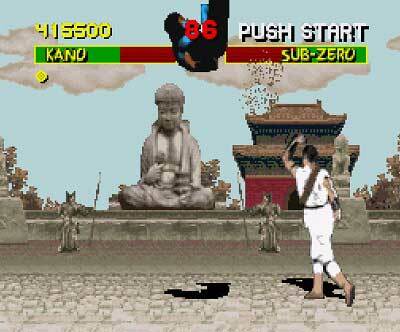 Beside Scorpion, Kano was the first MK character who would use a weapon in some of his moves, his Butterfly Knives would eventually make a big return as own weapon style in Mortal Kombat. 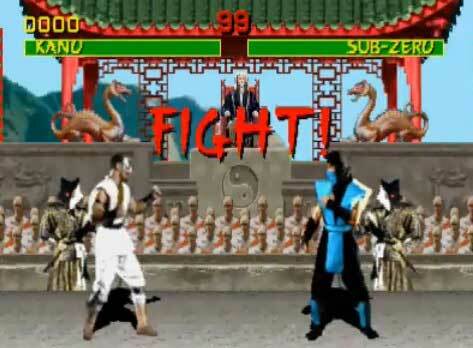 Deadly Alliance. 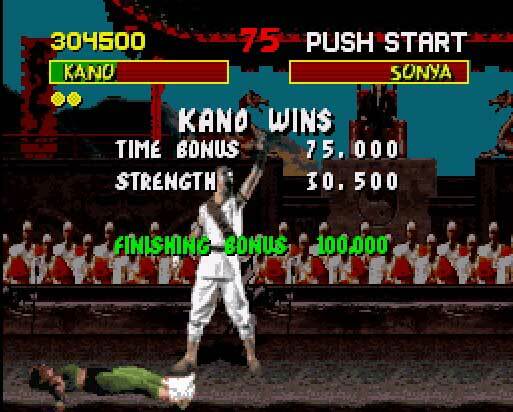 Kano returned in about every second MK game and is till today known as the guy who rips out the still pumping heart of his opponent with his bare fists! 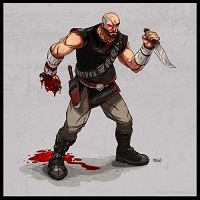 Visit also Kano’s Game Art HQ Main Profile with more infos, official art as well as featured fan art and more.